Are you looking for an award fit for your corporate stars? 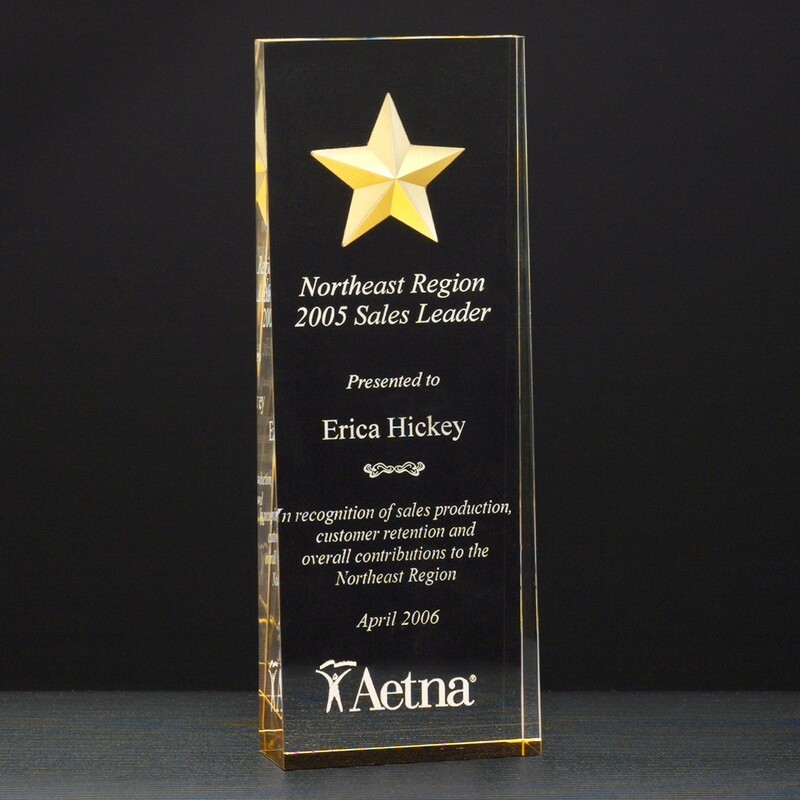 The Star Accented Acrylic Wedge Plaque is your solution! 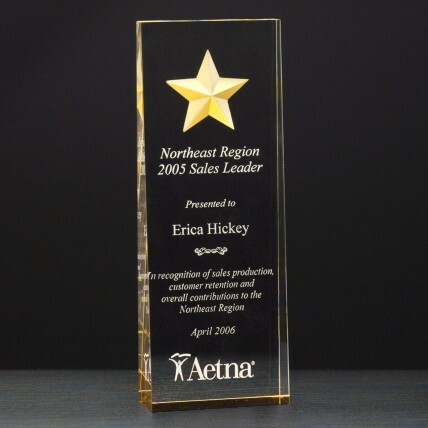 This elegant award measures 8 inches in height and features a carved looking gold star accent in a wedge-shape self-standing acrylic. Gold coloring will radiate through your logo and message engraved at no additional charge!